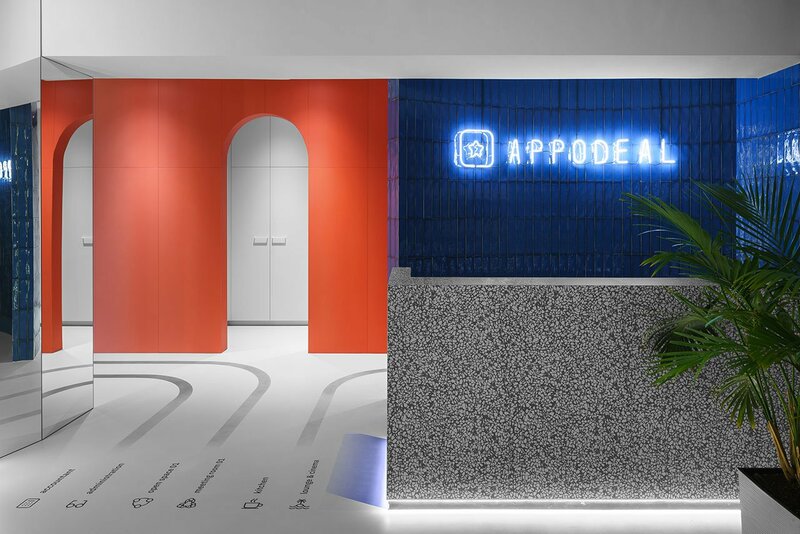 Appodeal, an emerging high-tech company working with mobile app publishers whose employees, in its new offices in Minsk, Belarus (Soviet Union) enjoy ping pong tables, a massage room and a landscaped rooftop terrace. 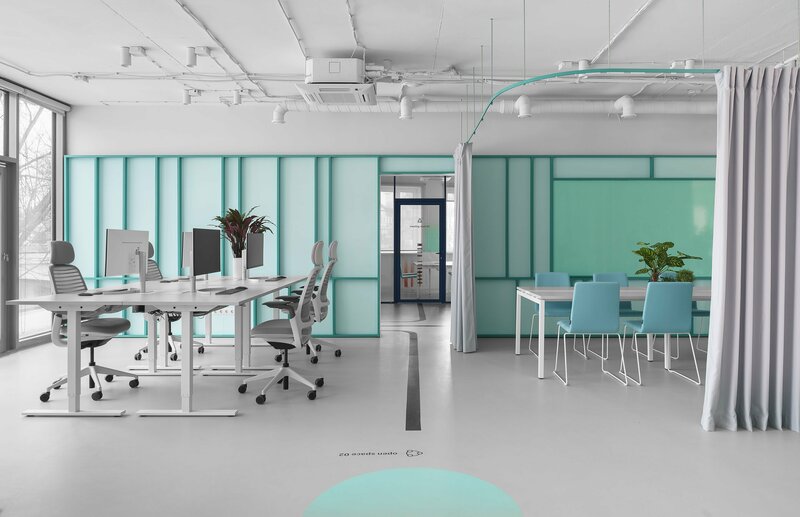 Created by Belarusian interior design practice Studio11, Appodeal HQ occupies an entire building in the centre of Minsk. 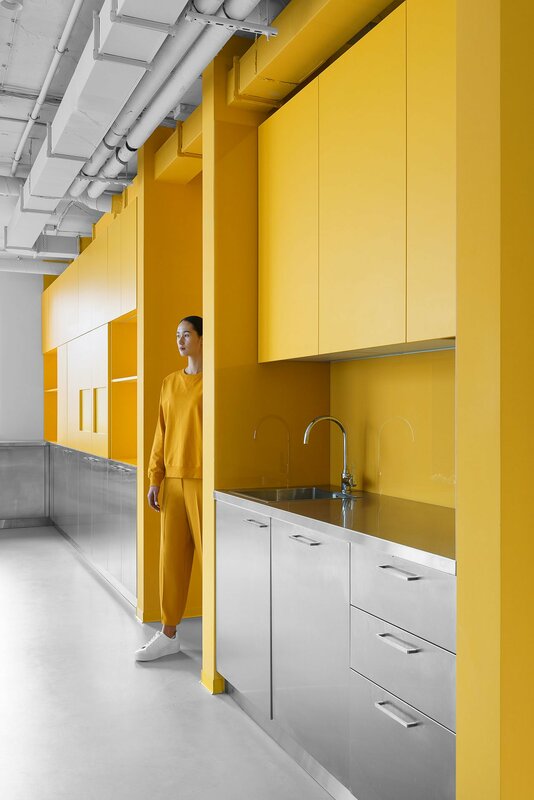 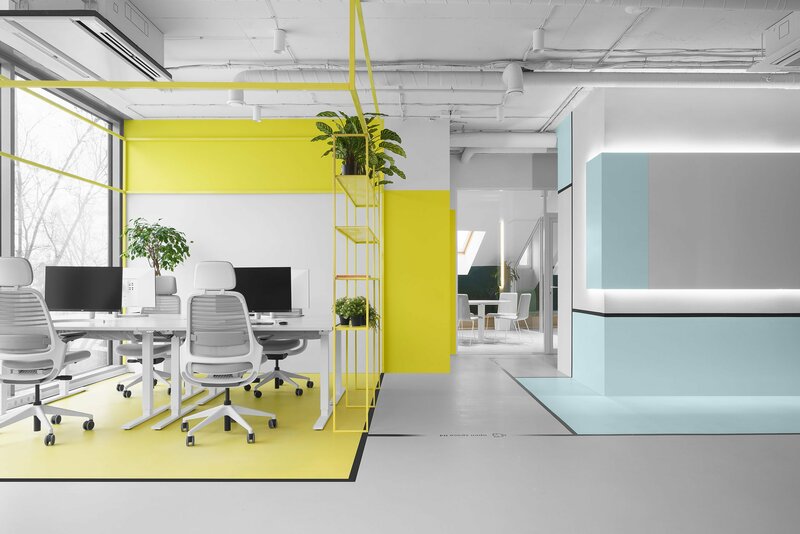 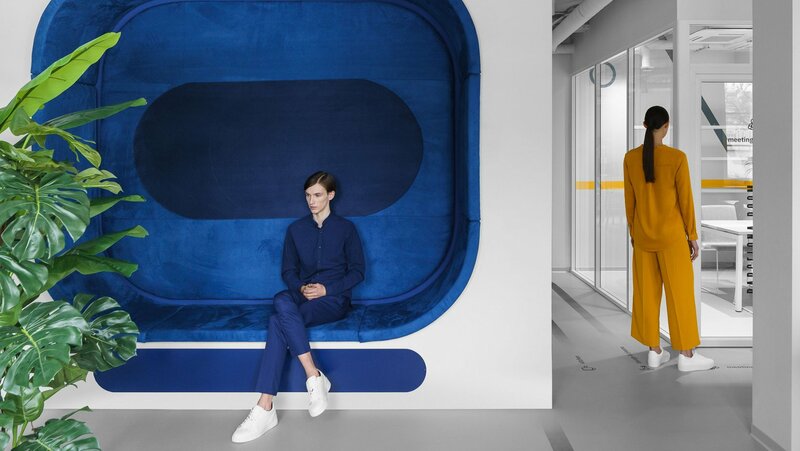 Undoubtedly, what distinguishes these offices from the conventional bold use of colour blocking, integral graphics and contrasting materials in order to create a work environment that is both stimulating and pleasing. 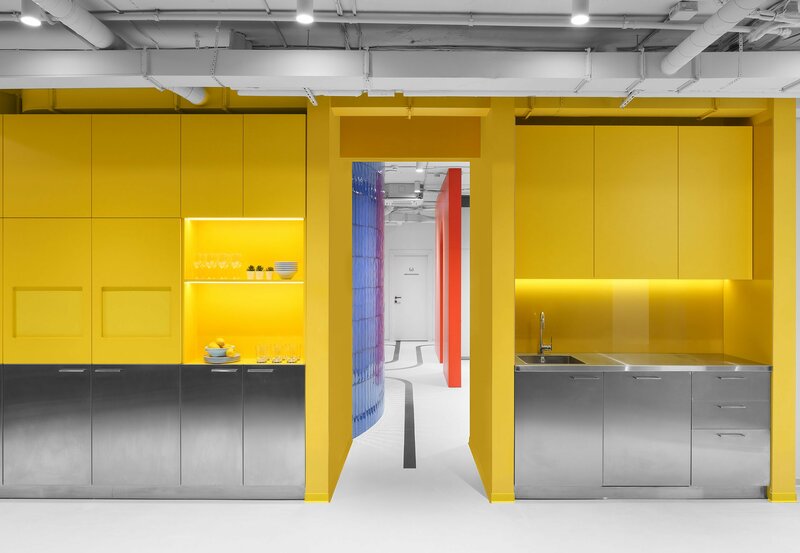 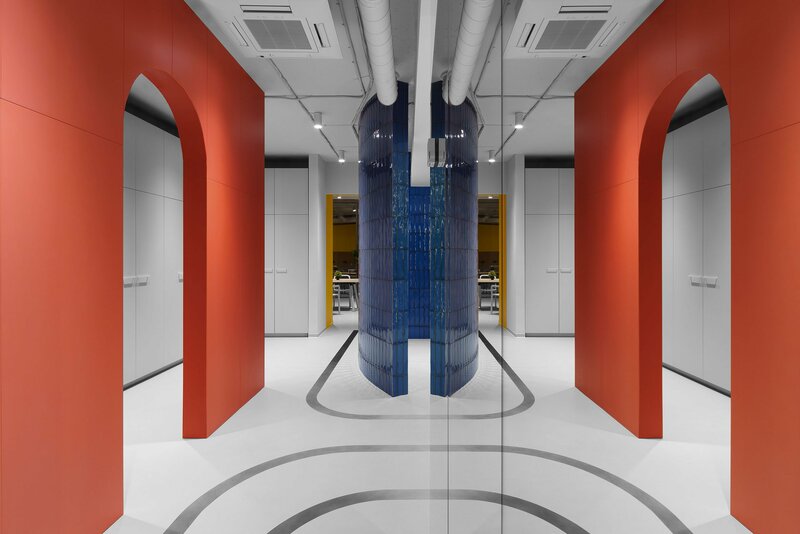 Colour has been used to distinguish between different zones and functions: set against a uniformly painted off-white backdrop, including floors, furniture and even ceiling air ducts, cables and light fittings, and occasionally delineated by bold geometric lines, vibrant patches of primary colours whimsically stand out, creating a three-dimensional canvas of striking graphical power. 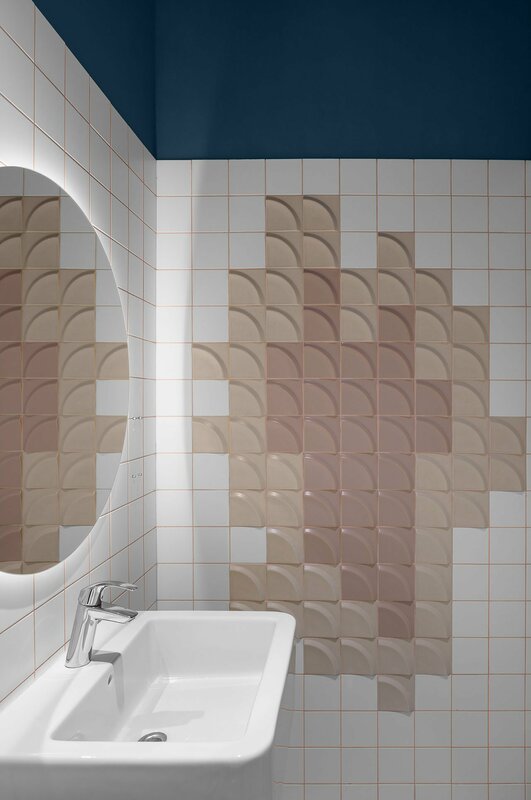 Similarly, the use of materials such as glossy ceramic tiles and velvet upholstery sumptuously pop out against the prevailing matte finishes. 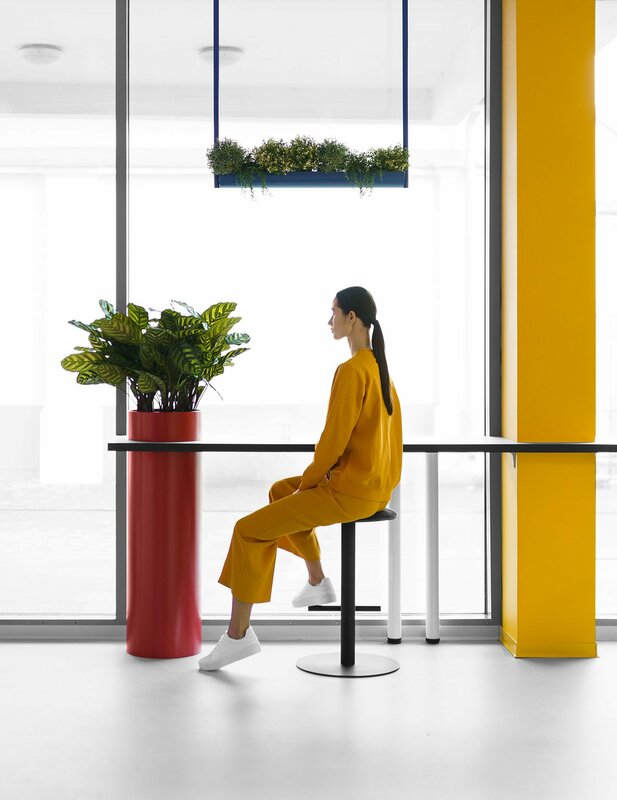 The graphic sensibility of the colour application is matched by the graphical nature of the bespoke navigation system that the designers have developed. 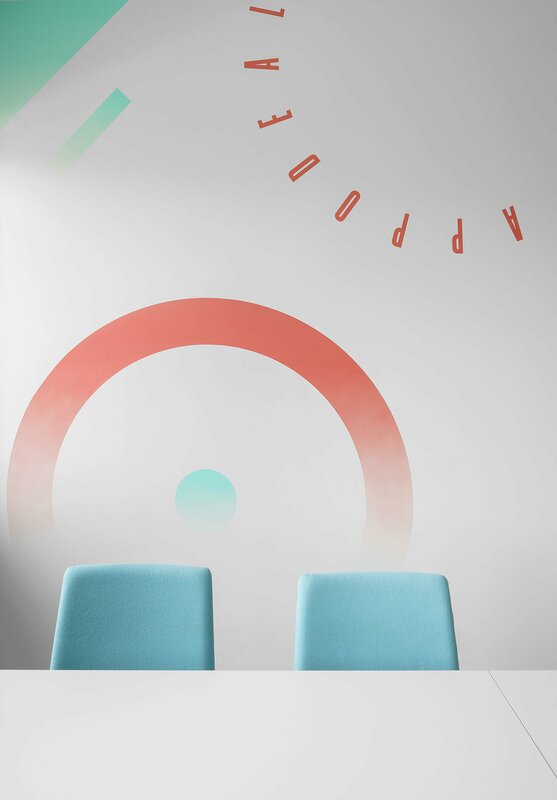 Inspired by board games where players follow a certain route, multiple bold lines on the floor lead visitors to their destination by bending around corners, turning right or left, or circumventing obstacles.